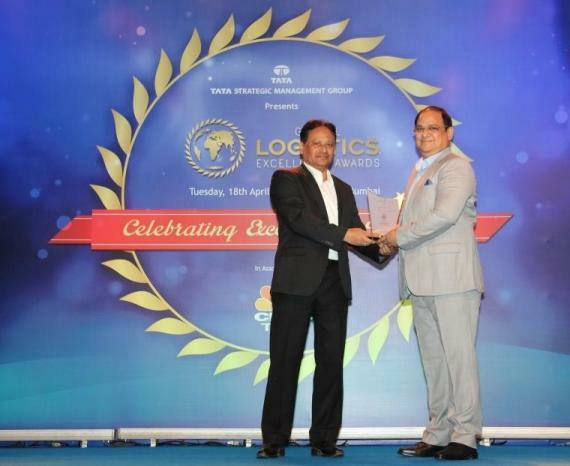 Procam Logistics are members in India and have been awarded the 'Heavy Lift Achiever of the Year - Inbound Logistics' at the 2017 Global Logistics Excellence Awards. The awards were presented by Tata Strategic Management Group, in association with CNBC TV-18, at the Leela Hotel, Mumbai in April during the Economic Times Global Logistics Show, India's definitive logistics event. The awards cater to various domains in logistics such as 3PL, supply chain & project logistics. The nominations were audited by Tata Strategic Management and the shortlisted entries were then judged by an eminent jury comprising of senior industry professionals. The category of 'Heavy Lift Achiever of the Year – Inbound Logistics' was stated to be presented to the company who has performed excellent work in the field of handling and delivering inbound project cargo with the highest possible efficiencies in terms of timelines, innovations, errors and risk-free consignments. The number and sizes of projects were also a key factor in the judging process. Procam, with their high standards of transport, engineering & HSE, as well as their innovation and commitment, successfully presented a strong case underlining projects they have handled in the fields of nuclear, thermal, hydro, wind, solar, energy, oil & gas, steel, cement & infrastructure. These notable projects include the Singoli Bhatwari & Baglihar and J&K Hydro Electric Power Plant Projects and the Alstom - Kakrapar Nuclear Power Plant Project where Procam provided its services under very difficult & challenging situations as well as the safe, eco-friendly and precise handling of over 1000 Metro coaches & 12 TBMs across various Metro Projects in India. Procam's Managing Director, Mr. T.G. Ramalingam (right) is photographed above receiving the award. Procam Logistics is an Indian asset based, integrated logistics service provider established in 2010 with offices in Mumbai, Gurgaon, Delhi, Kolkata, Chennai, Bangalore, Hyderabad and Vadodara. They specialise in project cargo management, heavy cargo transportation, ODC, installation, custom clearance and indirect tax consulting services. They have their own fleet of 120 axles including Goldhofer hydraulic axles and U.S. Lift System (400mt capacity - 4-point lift jack system).